Alabama-based Online Commerce Group (OCG) owns and operates approximately 170 e-commerce stores. The company has partnered with Bongo International to provide their extensive line of customizable home goods to clients in over 223 countries. Online Commerce Group (OCG), a home decoration and internet shopping powerhouse, has been named one of the fastest growing, privately held companies in America by Inc. 500 for the past 2 years. They have weathered a horrible recession avoiding layoffs and cut-backs and proved to be a steadfast business. OCG is Montgomery, AL based, owns and operates approximately 170 e-commerce stores, and there seems to be no limits to where this company will venture. They sell a range of products for outdoor decorating, holidays, and functionality. "Back in 2004, my partner and I decided to build a business around niche custom products - cushions & pillows to drapes to umbrellas to even high-end teak furniture," boasts CEO Scott McGlon. "After we developed our own back end to manage all the sites, we quickly grew our websites from 3 to 55, to today having over 170 websites. We manufacturer our own custom drapes on site and own our own private label line of teak furniture." All the site interfaces are user friendly and their success is based on business principles that include employee and customer appreciation, as well as a completely debt free operation. This accomplished approach to business has been intensified by the partnership with eCommerce Solutions provider, Bongo International, accommodating shipping to over 223 countries for OCG customers. The decision to embark on full-scale international expansion came largely from the customization desired by consumers. 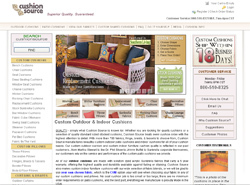 For example, CushionSource.com is their #1 producing site and is the market leader for custom cushions, pillows, and drapes online throughout North America. However, the inquiries for custom and quality work started coming in from other countries as well. "Consumers are limited on the options they have and "Made in China" imports are out of the question," explains McGlon. "For these reasons, we have request for our custom cushions coming in from Australia, UK, Bermuda, and many of the Caribbean islands." Another aspect of the partnership that makes OCG a unique participant in Bongo's thriving business is that they were the first company to utilize Bongo's multi-functional API on their websites. The Bongo International API was easily integrated on all OCG e-commerce sites in approximately 3-4 days. The API provides the landed cost of shipping to international customers. The landed cost eliminates confusion about the cost of international shipping, duties, and taxes. This is an invaluable calculation and aids in the retention of discerning international clientele because it provides the exact cost of getting products from the United States to destinations around the world. "One main concern of OCG was conversions," explains BongoUS Senior Sales Manager Neil Kuchins. "How can a business convert a "Viewing Customer" to a "Paying Customer", is every business owners dilemma. Bongo's process solved the merchant's concerns by offering the appropriate tools to showcase an up front international shipping cost to the customer. A constant goal was to reduce customer confusion while providing as much information to the client as possible; this increased conversions. By utilizing Bongo's API for "International Shipping Cost Calculation," OCG is now able to display cost to the consumer, increasing conversion of viewing traffic." concludes Kuchins. For Online Commerce Group the attraction to the Bongo process was simple: straightforward, common-sense thinking about international e-commerce. "The overall process was well thought out by Bongo in making the necessary International steps fairly simple for both the residential and commercial customers living outside of the States," explains McGlon. "That was important to us since it can be very intimidating, to say the least, in trying to handle the multiple steps." After only 6 short years, Online Commerce Group has enjoyed rapid growth and success. By utilizing BongoUS for their international shipping management, the acquisition of custom products at fair prices is now easier than ever for global consumers. Established in 2004, OCG was formed to establish and manage both online and traditional retail niche markets. The goods and services we provide to both the residential and commercial markets are at a level that our customers have not experienced before, either online or in traditional retail markets. OCG's level of success is determined by how well we deliver detailed quality information to desktops across the globe via the Internet. Bongo International is a premier provider of international shopping cart solutions to help retailers expand their business to international consumers. They fraud-screen international consumers and provide them with a U.S. address, giving them the ability to shop on U.S. websites. Bongo's integrated application can easily be implemented on a retailer's site through the use of hyperlinks, converting international consumers into fraud-free domestic orders. By providing a consolidation point for U.S. orders, Bongo can save the international consumer 82% off common carrier rates. 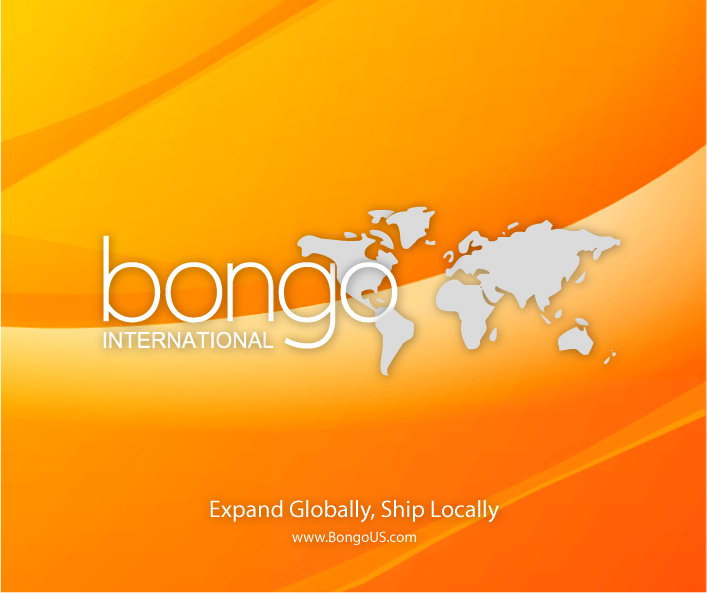 Bongo International's application is currently active on more than 800 U.S. retail websites.